I really just wanted a Final Fantasy thread to start with a proclamation that Final Fantasy 13 is the best. I mean, that's a lie, honestly. 14's the best. Maybe 2? 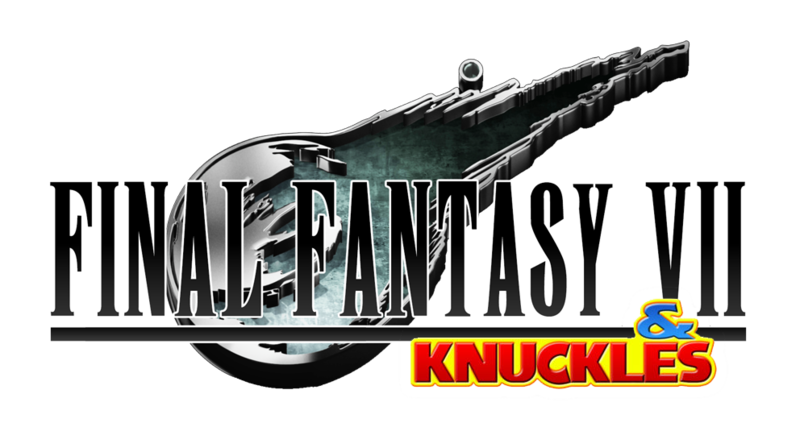 Whichever one is the best, it's definitely not your favorite Final Fantasy, that's for sure. You have awful taste. It looks pretty good. I'll probably like this game, unless it introduces weird Genesis stuff. Hell, I'll probably like it anyway. Cloud, Tifa, Aerigo, Barret, Red XIII, those... other guys... are all great characters. I hope Sephiroth doesn't actually have a black wing sprouting out of his back in the remake. That's already introducing weird Genesis stuff. I'm fine with it for promotional stuff. It further emphasizes that the real plot of Sephiroth is casting a shadow over the fake-out plot of Shinra. Also, it allows Cloud and Sephiroth to have a similar amount of image space. I would also be fine with seeing it during the crazy "wait sephiroth is superman?" sections, like when he flies away on the boat. And let's not forget he had the black wing (among many other wings) in his penultimate boss fight where he's some monster angel thing. I'll probably like this game, unless it introduces weird Genesis stuff. Agreed. Square Enix, it's Biggs and Wedge, not Adam and Steve. It looks pretty good. I'll probably like this game, unless it introduces weird Genesis stuff. I wish I could upvote posts, sometimes. Official site here: https://store.nissin.com/jp/feature/finalfantasy30th/ Spoiler warning: cups of instant ramen may contain the identity of the end bosses of FF games. For everyone who loved Final Fantasy XV's product placement, I guess? I Seymour product tie-ins are on the way. 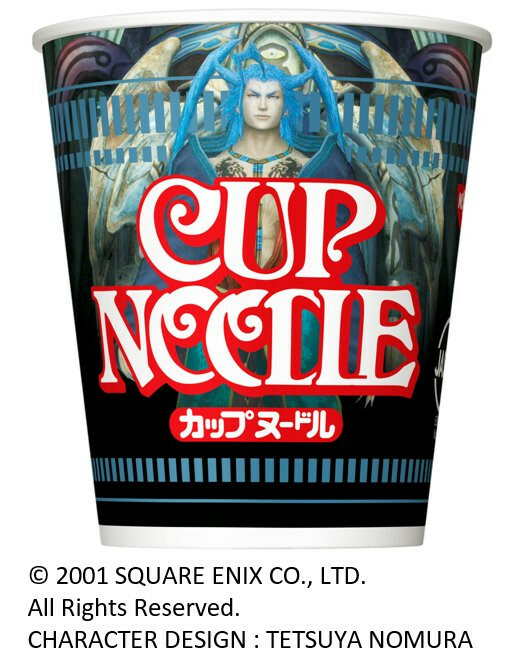 Spoiler warning: cups of instant ramen may contain the identity of the end bosses of FF games. Except for 9, 10, and 12, which instead display the second-last boss. 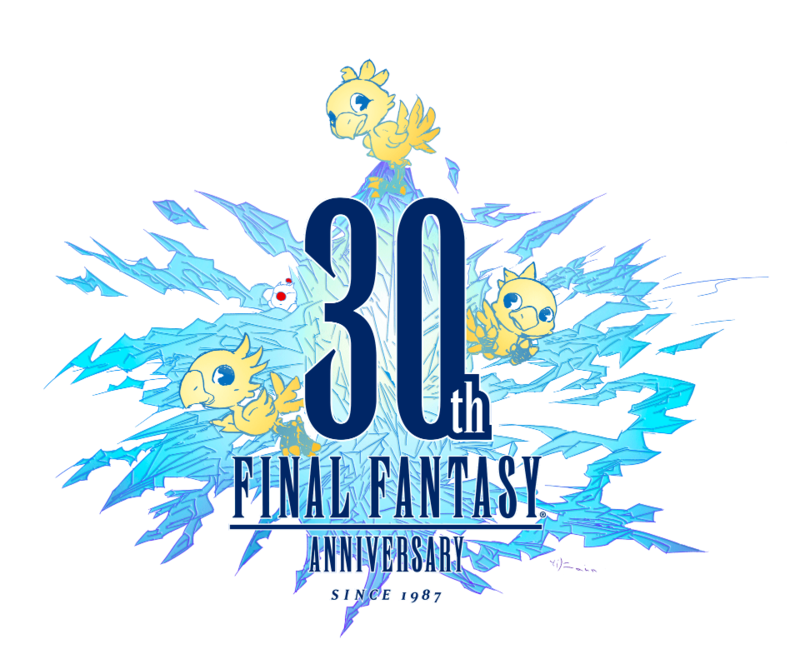 The fact that the old FF thread is 5 years old makes me feel SIGNIFICANTLY older than the fact that FF itself is 30 years old. I know, right? I've been yelling awful opinions about Final Fantasy at you guys for the past SIX YEEEEEAAAAAARS. Well, five years. I must have been yelling other opinions before then. The hungrier you are, the smaller the fork is. So make sure to eat plenty of Cup Noodle! Came here to make that joke. Yuck. What an ugly thing. Wait, you mean that swork exists?!?!? I thought it was a joke picture. I... I have no words. I didn't think mankind would ever stoop so low. 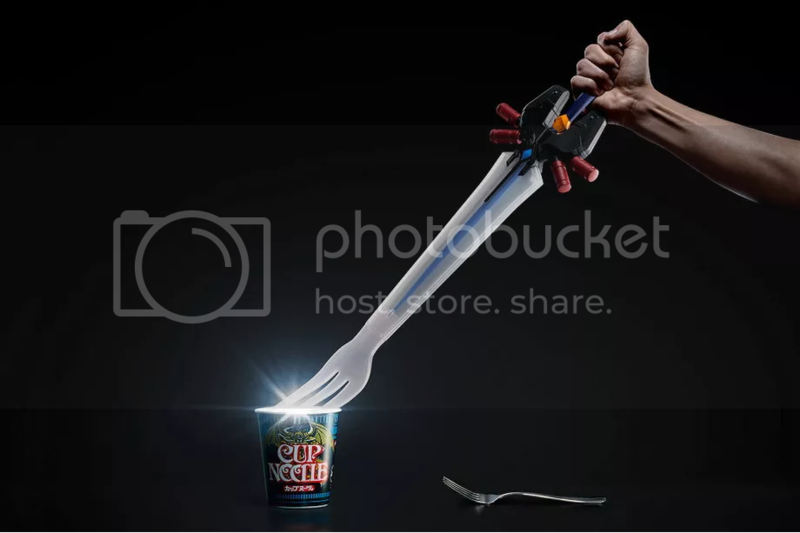 "Spanning over 60 centimeters, the ultimate weapon to vanquish food in a single blow. "However, it's so heavy-duty that it may drain the user's HP. "* Image dramaticized. Actual fork does not gleam like that." I can say with utmost sincerity that I would PAY to see someone swordfight using this against a baguette. Oh man, I want one! Also, can we talk for a minute about how hard Arby's is pushing Final Fantasy advertising? There's that sandwich with a Buster Sword lodged in it today, and a papercraft chocobo from a while back. What is UP with that? Day 5: I'm seeing forks everywhere. Trees have forks. The letter Y has a fork. Dear god, even my fingers are forks of my hand. I have to fix this. GAWD Lancer! Spoilers much? Just ruin it for those of us who haven't played it.